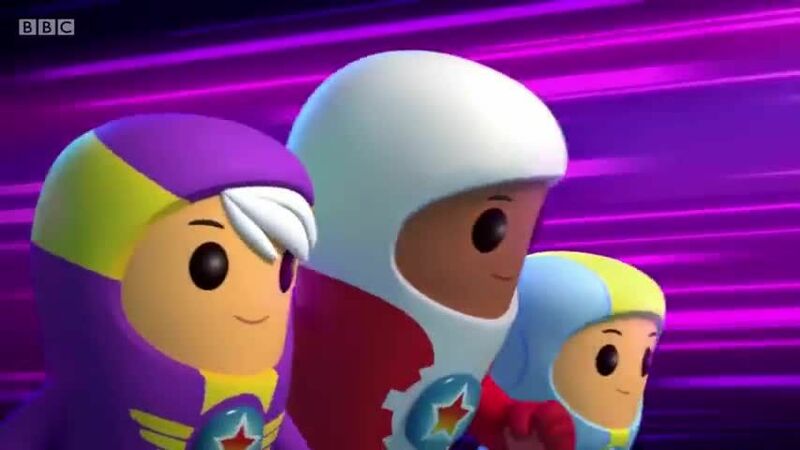 You are going to Watch Go Jetters Episode 8 online free episodes with HQ / high quality. Stream cartoons Go Jetters Episode 8 Online The Grand Canyon, USA. Kyan is wire-walking across the Grand Canyon as part of the GO Jetters training. Grandmaster Glitch fires his own wire across the canyon onto the Grand Canyon Skywalk to try and beat Kyan. Grandmaster Glitch uses magnetic boots to walk across the wire. The Grimbots watch in admiration and play very loud music which causes the wires to vibrate leaving Kyan and Glitch hanging in danger, along with tourists on the Skywalk. Foz and Lars use GO Boots to support the Skywalk and to stop the loud music in the Grimbler. GO Fix is used by Lars to fix the Skywalk. Kyan then completes his wire walk with Grandmaster Glitch on his shoulders. Kyan gets a double GO Jetters award for: completing the wire walk and for saving Grandmaster Glitch. 3 / 5 - 3 ratings.